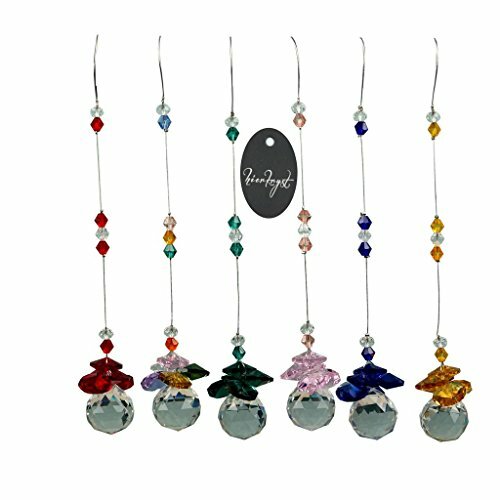 6 of pack;Total length size:6.88'' Crystal Ball size:20mm(0.78'') Octogon beads size:14mm(0.55'') Material: K9 crystal,super sparkly. RAINBOW MAKER- Beautiful and sparkling.Create lovely light refraction all round the room;Turn the sun's rays into rainbows. Hang them in a window and watch your personal rainbow appear. UNIQUE HANDMADE GIFT-Makes a unique and thoughtful gift or wedding favor. If you have any questions about this product by hierkryst, contact us by completing and submitting the form below. If you are looking for a specif part number, please include it with your message.